The book has nearly 600 pages with various sections starting with a history of the project itself and an introduction to some of the botanists and taxonomists of importance to Oregon. Following are a few sections describing the different ecological regions of Oregon and all of the different kinds of habitats found there. 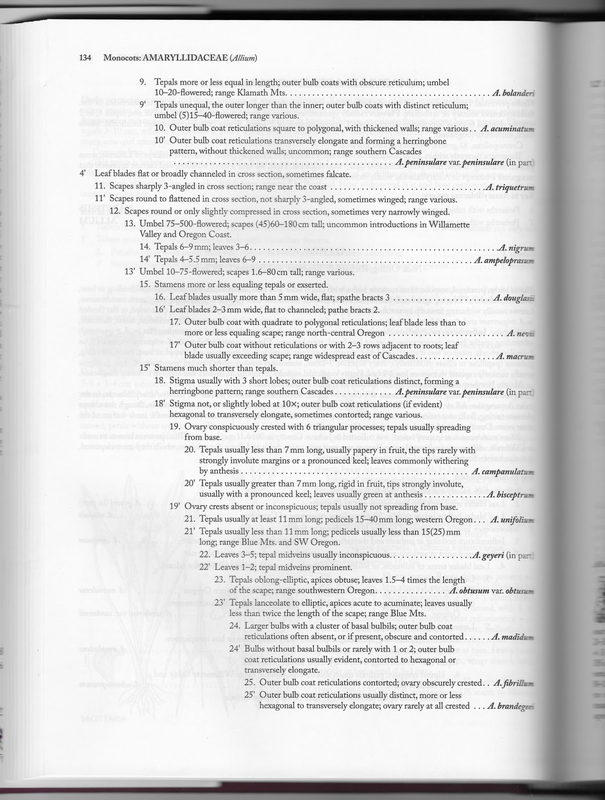 Then comes the meat of the book: the treatments of 1,054 taxa in 46 families by a variety of knowledgeable persons. The book concludes with a variety of interesting appendices and a well organized and comprehensive index. Overall, the book feels good in my hands and is nice to look at. The sleeve has a beautiful serigraph of Iris innominata by Bonnie Hall, and the hardcover under the sleeve is a prestigious foil stamped Erythronium, which serves as the Oregon Flora Project's logo. Note: I opted to make scans of the actual book (with explicit permission from the OFP) rather than receive the original PDS's so I may best represent the reality of the book as it is. I was also given explicit permission from both the OFP and the FNA to reuse illustrations by their respective artists for the sole purpose of this review. The first 64 pages are printed in full color on a thicker paper stock than the rest of the book. The first few sections cover the regions of Oregon and the different types of habitats, as well as a few notable examples of where to see a great deal of wildflowers. 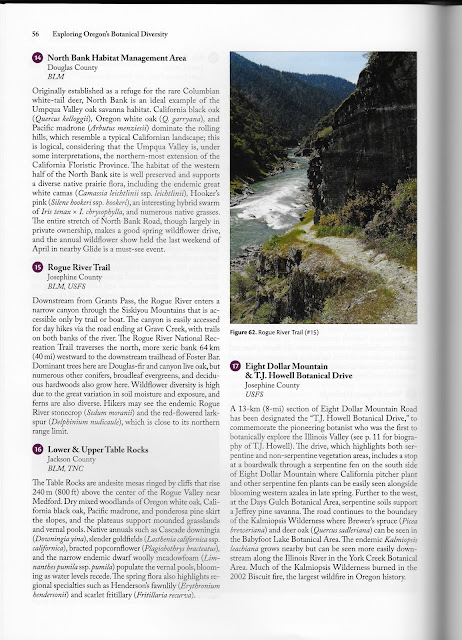 This page shows a few places close to me, including Upper Table Rock which I visited and wrote about in March 2015. It would have been a lot easier to key out the species I photographed with this book. 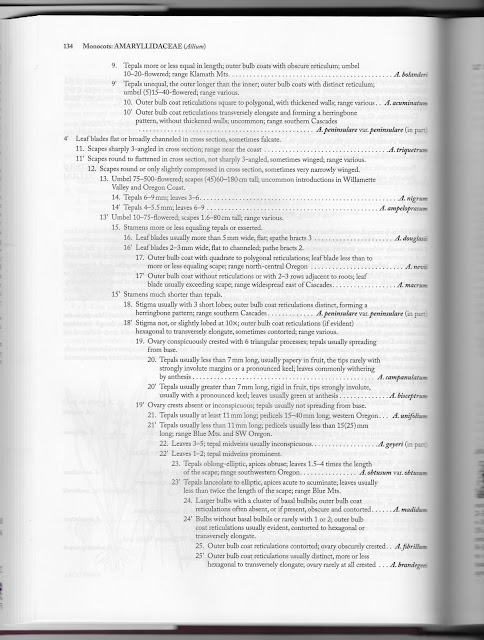 Following the colored sections is 500 pages of the 1,000+ taxa included in the flora. The first section of the treatment is the Pteridophytes, followed by the Gymnosperms, and concluding with the monocots. The monocots are arranged alphabetically by family. I wish it had been organized by order, which would have resulted in a separation of the wind pollinated grasses and sedges (order Poales) from the insect pollinated plants. Personally, I have less interest in the grasses (I use the term as loosely as possible to include sedges and other grass-like wind-pollinated plants) and would be content with just the insect pollinated wildflowers. There are dichotomous keys throughout the book from a key to the plant groups (Pteridophytes, Gymnosperms, etc.) as well as keys to families, genera, species, subspecies, and even to the varietal level if there is one. The keys are not for the lay man, as some basic knowledge of botany is required for the keys to be useful. However, the keys are quite comprehensive, as this section of the three-page Allium key illustrate. Illustration of Fritillaria gentneri by Rena Schlachter, © Oregon Flora Project. Illustration by Yevonn Wilson-Ramsey, © Flora of North America Association. Many pages throughout the book are accompanied by illustrations of a few representative taxa, though not every entry has an accompanying illustration. The illustrations are highly detailed and show the necessary parts of the plant in question to make a positive ID, which is after all the point of this book. A variety of artists from both the FNA and the OFP were employed for their artistic talents. What they show differs from taxa to taxa. 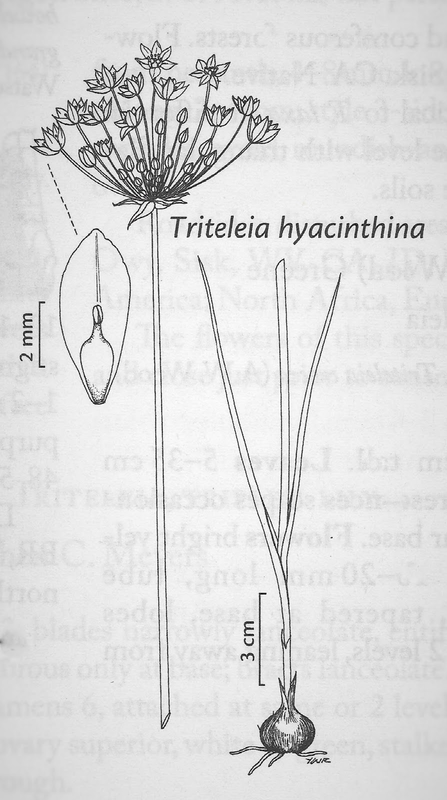 For instance, many of the Allium illustrations show close-up details of the bulb coat, often having distinct identifying features when it comes to New World species. Many other taxa show close-up aspects along with the plant in whole (leaf and reproductive structure). Illustration of Triteleia hyacinthina by Yevonn Wilson-Ramsey, © Flora of North America Association. The bulk of the book is made up of treatments, which are printed on a very thin paper. The result is that the pages become mildly transparent, as seen in this scan. Yet it is not, in my opinion, very much of a distraction as it is a reminder than this book may not be the best [for me] to take out into the field lest it should become damaged. Also it is of a rather large size and heft, not desirable traits for a field identification resource. 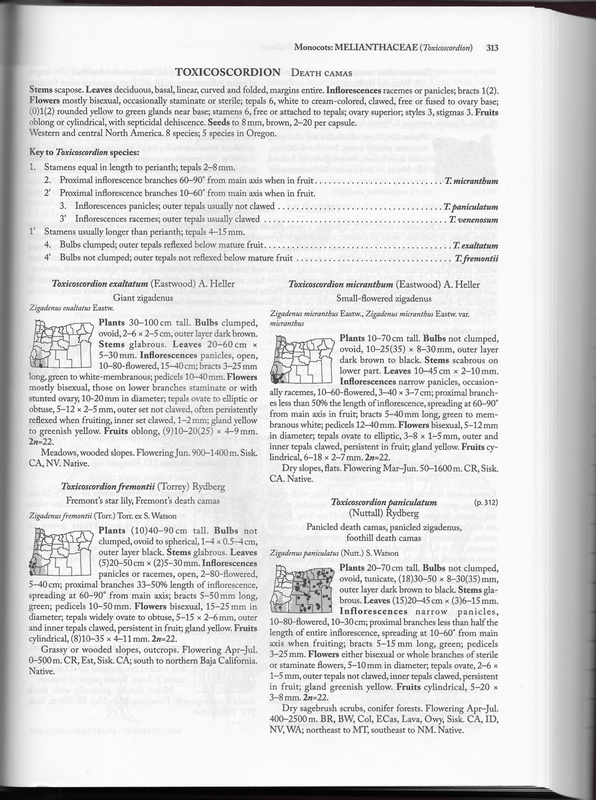 A typical page, showing a key to the genus Toxicoscordion (syn. Zigadenus). Note that of the eight genera this flora accepts, only the five that occur in Oregon are included. This is another common feature of the book. 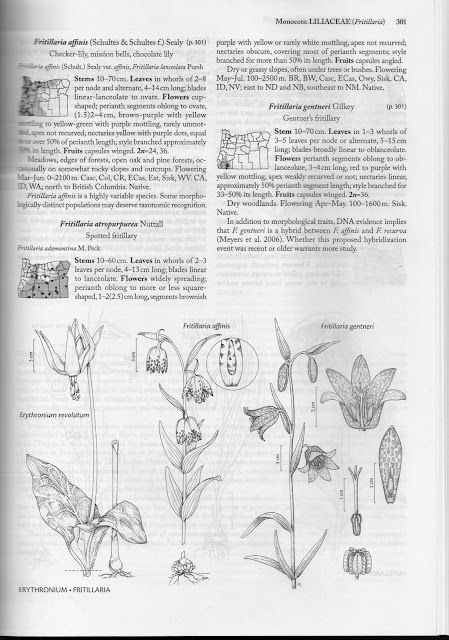 While it does exclude a lot of neighborly taxa, it also includes a plethora of nonnatives, including noxious weeds and garden escapees such as Muscari and Narcissus, complete with dichotomous keys and illustrations. To conclude this brief but concise review, I admit there are a few things I wish were different, but in all I would definitely recommend this book to any Oregon native plant enthusiast. For identifying native plants, it is far superior to the internet. 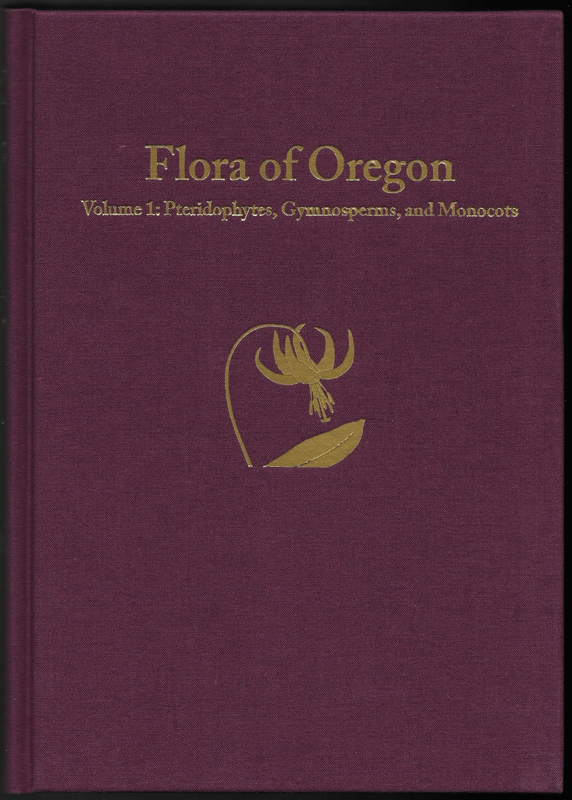 Dichotomous keys are largely nonexistant for Oregon native plants online, as far as I have known, and this book makes up for that by having a key to everything. If you are interested in purchasing a copy, please visit their publisher rather than Amazon because Amazon takes a larger cut of the profits. The books are available, with a few more preview pages, on the Shop BRIT web page. Please consider adding this wonderful book to your library, and perhaps spreading the word! Thank you so much for this excellent information!